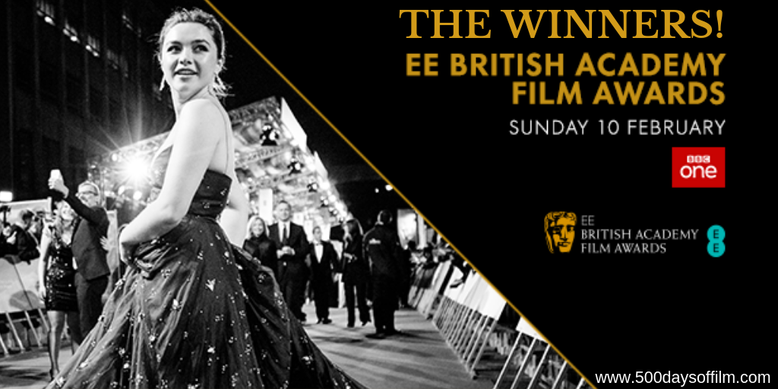 The Favourite took home the most awards at the 2019 Baftas. Yorgos Lanthimos’s dark comedy, period drama started the evening with 12 noms and walked away with seven wins including Outstanding British Film, Leading Actress for Olivia Colman and Supporting Actress for Rachel Weisz. However, The Favourite did not scoop up all the awards... Roma won Best Film, Best Cinematography and Best Director for Alfonso Cuaron. BlacKkKlansman won Best Adapted Screenplay, Star Is Born won the award for Best Original Music and Vice won Best Editing. Meanwhile, Free Solo won Best Documentary, Spider-man: Into The Spiderverse won Best Animated Film and Black Panther won the award for Best Visual Effects. Here are the winners (in bold) and nominees in full. What I would have chosen (if I was in charge) is highlighted in red.